Many libraries that offer eBook collections may have seen steady growth over time, but there’s always room for increased ways to build the hype and use of digital collections. At my library there are still many families who are unaware that libraries even provide this service. The fact that returns are automatic, and that it makes traveling with kids much more carefree is enough to make some patrons prick up their ears. 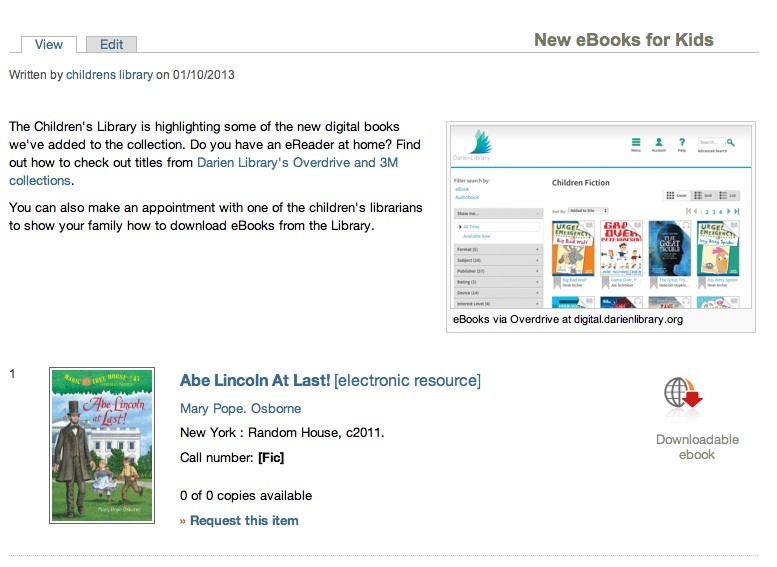 With kids, there are always opportunities to share that the library also has eBooks to check out. I find that young patrons are easily won over once they learn that even though #565 of their favorite series may not be on the physical shelf, there’s usually a digital copy ready to read. In addition to patrons who own eReaders and other devices, it’s important not to ignore the kids in our communities who don’t have access to new technologies. Are we making these materials available for them to borrow or use within the space? This can be by circulating eReaders for in-house use, or having library computers ready for viewing digital content. In terms of building awareness around your digital collections, here are some suggestions for making the seemingly intangible a bit more accessible. Begin creating physical and virtual booklists of your most recent acquisitions. Adult patrons are always looking for grab and go selections for their young readers. With existing booklists, add an eBook logo which shows that the title is also available digitally. Host an event which highlights your library’s digital collection and market it to families. This past winter we held a Family Tech Night where we encouraged family members to bring their devices for individual tutorials. This also enabled us to highlight other services including Hoopla and Zinio which appeals to parents. The kids were excited to check out books on their devices, and in many cases were assisting the adults with downloading titles. Visit local schools throughout the year showcasing your library’s services, and include a plug for circulating eBooks. Encourage student groups to visit the library and discuss the various materials available for checkout. In our town, Scout Troops will often visit the public library to earn a tech badge. By centering the discussion on technology’s impact on literacy, we can discuss how reading has changed throughout history. Find ways to advertise eBook collections during Summer Reading events. Have “how to download” flyers on hand for families. 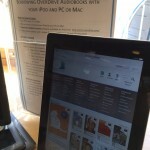 Starting to circulate tablets in your library? Make sure to have all staff trained to troubleshoot how to download eBooks. 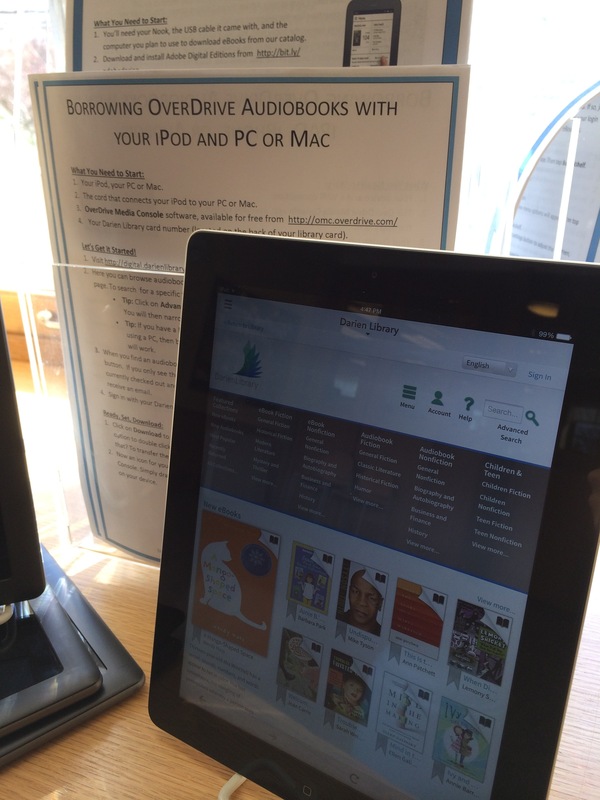 Patrons may be checking out equipment primarily for app selections, but having them test drive eBooks is also a plus. Communicate to staff that incorporating eBook collections into readers’ advisory interactions is highly effective. Asking kids if they know that the library has eBooks, and physically taking them to view the online collection can have them instantly intrigued. 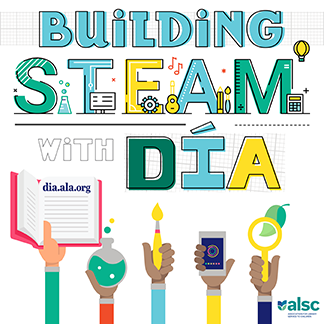 Planning readers’ advisory programs for parents that focus on non-traditional collections such as app recommendations and eBook collections can help increase circulation and change the public’s perception of what the library offers. 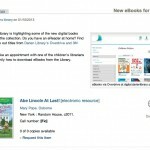 Have you found unique ways to highlight your library’s eBook collection? Have you used social media outlets like Pinterest or Tumblr to reach your community? Please share your experiences below! Claire Moore is a member of the Digital Content Task Force. 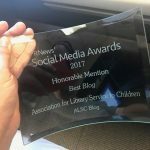 She is also Head of Children’s Services at Darien Library in Connecticut. You can reach Claire at cmoore@darienlibrary.org.